60 mins ago#DXCLUSIVE: Truth Enlists Tragedy Khadafi For "TNT (Large Professor Remix)" Video 10 hours agoRico Nasty Teams With Kenny Beats For "Anger Management" Album 10 hours agoLil Nas X Might Change His Name Because Nas Is A Legend 13 hours agoDave East Blames The Internet For Exaggerating His "Old Town Road" Hate 14 hours agoPromising R&B Collective Emotional Oranges Serves Lusty Number With "Someone Else"
Pusha T continued making the media rounds in support DAYTONA, stopping by Beats 1 for an interview with Apple Music's Julie Adenuga this week. During the chat, he pronounced Teyana Taylor's K.T.S.E. his favorite album the recently released projects under G.O.O.D. Music, talked about being on the receiving end an angry call from Taylor, and the possibility a G.O.O.D. tour. “Teyana] also has what we call 'Demoitis.' Demoitis is when you record a song] and you begin to love the song] as it is and then somebody comes and changes something within the song] and then you can’t hear it another way,” he jokingly added. “You know, she hears it one way, it was recorded one way and then you know, Kanye] may add a sound or add a sample or things that may change the dynamic in her mind to not what she was married to,” Pusha explains. 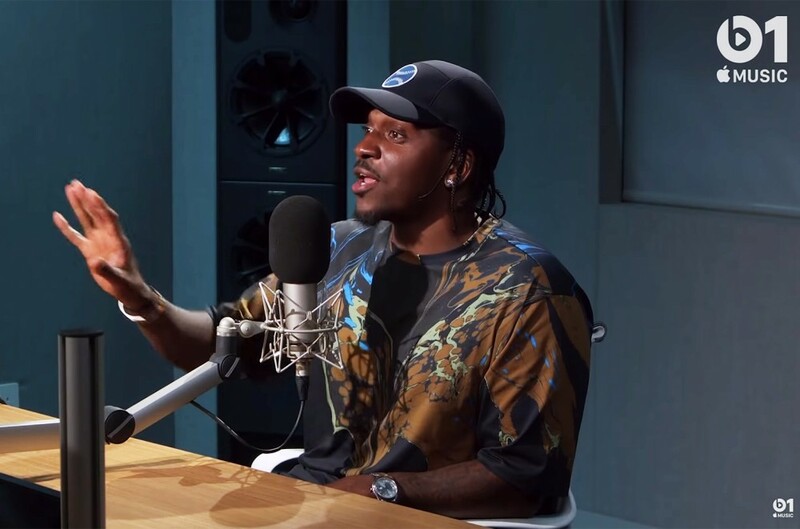 Check out Pusha T's interview with Beats 1 in full below.